Greg Whyley Archives | HU17.net – It’s all about Beverley! 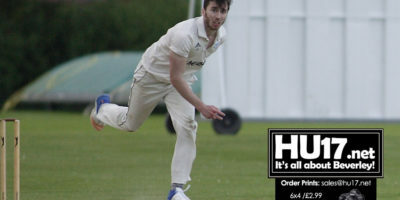 A busy Bank Holiday weekend for Beverley Town Cricket Club saw the 1st XI take 57 points from a possible 60 giving themselves a real chance of promotion. The 2nd XI lost one game and picked up 27 points from their second to slip out of and back in to the promotion places; the 3rds won and then lost in two very tight finishes; and the 4ths rounded off their unbeaten season off in in style with a comfortable win. 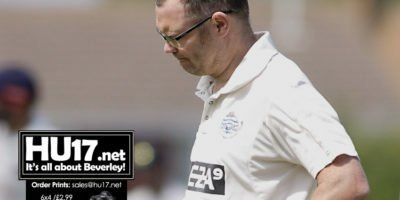 There was a stark contrast between last Saturday and Sunday for Beverley Town Cricket Club. Saturday saw a win for the 3rd XI and three winning draws while Sunday brought Hunters Cup final defeat for the 1st XI and a second loss of the season for the 5th XI. 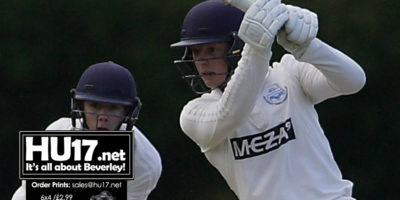 Beverley Town Cricket Club 1st and 2nd XIs produced excellent performances last Saturday to maintain their good runs. The 4th XI had an easy win to move closer to honours. 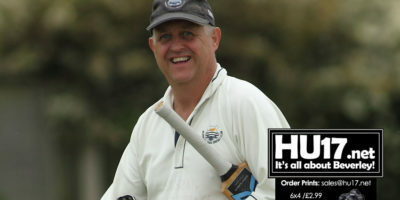 The 3rds lost a tight game and the 5ths were unfortunate to have their game cancelled due to a rare wet day on Sunday. 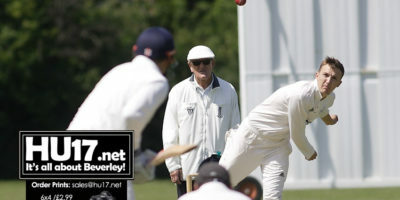 Once again Beverley Town Cricket Club had three wins last weekend with the 1st, 2nd and 4th XIs all recording impressive wins, losing a total of only ten wickets in the process. Beverley record wins against Malton & Old Malton, Sewerby and Gilberdyke on what proved to be a very successful day for the club. Beverley Town Cricket Club enjoyed another successful weekend as they clocked up wins for the 3rd, 4th and 5th teams and a winning draw for the 1st XI. 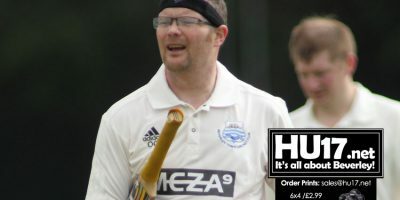 Only Beverley’s 2nd XI, beaten for the first time this season, failed to record a positive result. 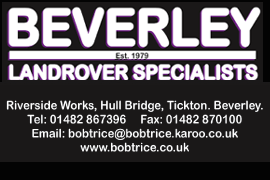 All five teams at Beverley Town Cricket Club were in action this weekend as the club resumed the latest round of fixtures. While the first team saw their game abandoned, there were wins for the fourth and fifth teams who won their games with ease. 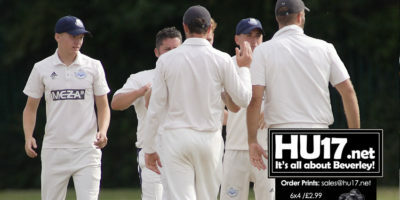 All teams at Beverley Town Cricket Club finally got under way over the early May Bank Holiday weekend and the Saturday proved to be a big success with two winning draws and two wins, followed by a win for the 5th XI on Sunday. 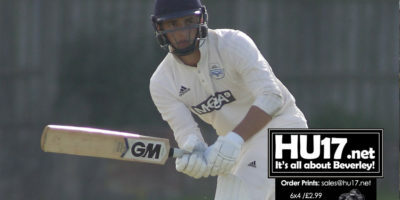 Castleford moved back up to second as they returned to winning ways with victory by four wickets away at Beverley Town. David Wainwright took three wickets for eight runs as the home side were dismissed for 117, Greg Whyley top scoring with 26. Jamie Roe took 3-25 in the visitors reply but an unbeaten 64 from Connor Hyde was enough to secure victory and keep the Savile Park club in the hunt for an immediate return to the Premier League. 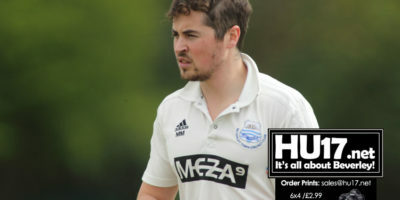 York skipper Nick Kay had a day to remember, an excellent all round performance leading to a victory over Beverley Town Cricket Club at the Norwood Recreation Ground. 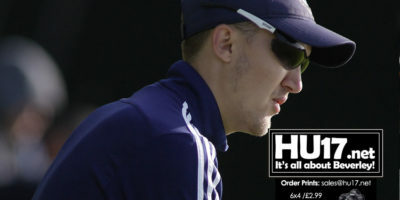 Kay’s 6-48 helped bowl out Beverley for 176 with Greg Whyley top scoring with 54 and Tom Hudson making a credible 36. 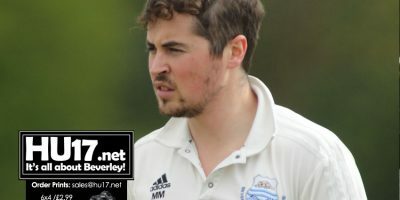 Matthew Mudd took four wickets as Beverley Town Cricket Club secured maximum points against Bolton Percy at the Norwood recreation Ground. 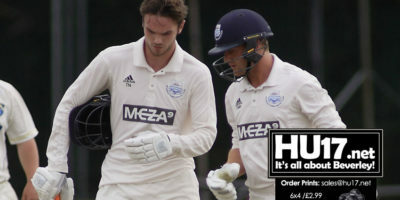 Batting first Bolton Percy set a total of 196 as that included a half-century from Ed Noble (54) and 40 from Matt Howden. 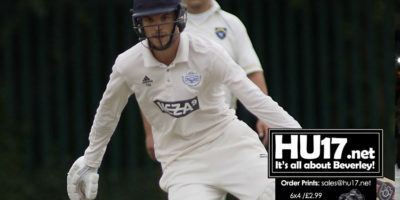 Sessay maintained their advantage over the chasing pack after four of the top five in the Hunters York & District Senior League Premier Division picked up maximum points, Beverley Town were the only ones to miss out and defeat to promotion rivals Studley Royal saw them drop three places to sixth. A century from James Clarkson (124) helped second placed Studley Royal rebuff the challenge of visitors Beverley Town Cricket Club who began the day in third place. Greg Whyley and Peter Parnaby bagged three wickets each as Beverley Town Cricket Club second string beat Sewerby to climb the table.